With three regular season games now remaining in the Pittsburgh Steelers 2014 season, it’s a perfect time to take a look at the players that will be free agents during the offseason. We will revisit this list in a few more weeks but I doubt there will be many changes on it come that time. Jason Worilds – OLB – Worilds is once again scheduled to be an unrestricted free agent and unless he finishes the 2014 season with a big bang, it’s hard to imagine that the team will tag him once again. Worilds earned $9.754 million in 2014 and so far he’s produced 4.5 sacks and a total of seven tackles for a loss. I will be surprised if he’s not allowed to test the free agent market this coming offseason. Ike Taylor – CB – Taylor has only managed to play in five games so far this season thanks to injuries. He earned $2.75 million in 2014 after taking a pay cut and he will be hard pressed to earn that same kind of money in 2015. Because of the Steelers lack of depth at the cornerback position, I can see Taylor being brought back for one more season if accepts even less money than he earned in 2014. Will Allen – FS – It’s finally time for head coach Mike Tomlin to cut the cord for good when it comes to Allen. James Harrison – OLB – Harrison has said that 2014 is going to be it for him. Matt Spaeth – TE – Spaeth has played well this season for the Steelers and if the price is right, I can see him being back in 2015. He still is a contributor on special teams and remains solid blocking tight end. He will be allowed to test free agency and he might get an offer from another team. Greg Warren – LS – There’s no reason to think that Warren won’t be back in 2015 if he accepts a one-year veteran qualifying contract that comes with a discounted cap charge. Brice McCain – CB – If McCain is willing to take the veteran minimum once again, the Steelers should bring him back on another one-year deal with a reduced cap charge. While he certainly isn’t a full-time starter or solid special teams player, he is serviceable. Darrius Heyward-Bey – WR – There’s really no reason to bring Heyward-Bey back in 2015 unless he wants to battle for a fourth or fifth wide receiver spot in training camp. He would once again have to sign a veteran minimum qualifying contract in order for that to happen. Arthur Moats – OLB – The Steelers figure to be short next year at the outside linebacker when it comes to depth and if Moats is willing to take the minimum once again, I can see him back in 2015. He stays healthy, can play multiple positions and also contributes on special teams. Michael Palmer – TE – If the Steelers bring back Spaeth, there really won’t be a reason to re-sign Palmer, who has played all of 17 offensive snaps so far this season. Clifton Geathers – DE – Geathers was signed just a few weeks ago out of necessity after Brett Keisel was lost for the season. There’s absolutely no reason to re-sign him during the offseason. Will Johnson – FB – Johnson has had a very good second half and has proven that he can play fullback, h-back and a little inline tight end in the league. 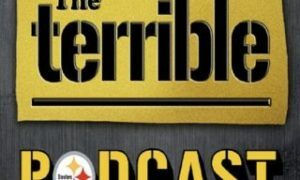 The Steelers need to decide whether or not he is worth a right of first refusal tender during the offseason and that amount figures to come in at around $1.5 million. Robert Golden – FS – Golden has played all of nine snaps on defense so far this season and while he’s a decent special teams player, you have to wonder if he’s really worth paying a $1.5 million tender to. Antwon Blake – CB – Due to the potential lack of depth that the Steelers figure to have next season at the cornerback position, I can see Blake being tendered at the $1.5 million level during the offseason. He’s a solid special teams player to boot. Chris Hubbard – G – Hubbard has stuck all season on the 53 man roster so it makes sense that the team would tender him a one-year contract for the minimum to come back in 2015. Josh Harris – RB – Due the lack of depth at the running back position, I can see Harris being tendered an exclusive rights contract for the minimum in order for him to compete in training camp for a backup spot. Brad Wing – P – Being as he’s the Steelers only punter right now, it would make sense to bring back Wing for the minimum. He would then have to win the punting job in training camp in order to stay. Terence Garvin – ILB – Garvin has played all of 11 snaps so far this season on defense and I believe all of those have come inside the red zone. He’s solid special teams player and worth bringing back for the minimum so that he can compete in training camp for a spot on the 2015 roster. Justin Brown – WR – Brown has managed to stick all season on the 53 man roster and while he hasn’t dressed for several weeks, it doesn’t look like the team has completely given up on him just yet. An exclusive rights tender would allow him to compete in training camp for a fourth or fifth wide receiver spot. Bryant Browning – G – To my knowledge, Browning is still on the Steelers injured reserve list after suffering a shoulder injury during the preseason. If he hasn’t been waived with an injury settlement, there’s a chance they might want to take another look at him next year in training camp. If that’s the case, he can he easily be retained with an exclusive rights tender for the minimum.